Here's a clever little social game—involving just Instagram video and your phone's screenshot function—from ad agency Forsman & Bodenfors for a Swedish department store. 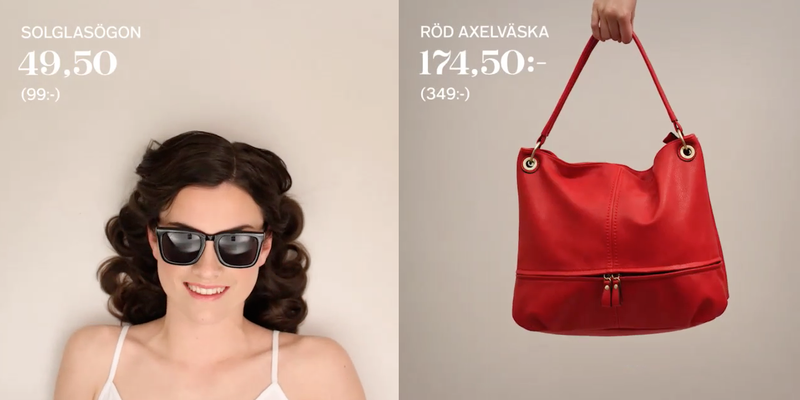 The retailer, Åhléns, posted three stop-motion Instagram videos featuring various products (clothes, furniture, makeup and more) flashing past at rapid speed. If you could capture any item in a screenshot on your phone (and then hashtag the image, post it to your Instagram account and present the post at the register), you got the item at half price. Simple, clever and fun—and enough of a reward to risk annoying your friends. Check out the case study and the three videos below.